Leaders of 21 opposition parties have told the Supreme Court they do not mind a delay of six days in declaration of Lok Sabha election results for counting of 50 per cent of VVPAT slips, saying it is not a "serious delay" if it ensures integrity of the electoral process. The submission was made in a counter-reply filed by the opposition leaders, led by TDP chief Chandrababu Naidu, in response to the claim of Election Commission that the verification of 50 per cent of VVPAT slips would delay the declaration of election results by "5.2 days". The leaders it "is not a serious delay in any manner if it ensures integrity of electoral process". "If delay of 5.2 days is to be balanced with the integrity of electoral process, the balance will certainly tilt towards the latter," they said in an affidavit submitted to the court. 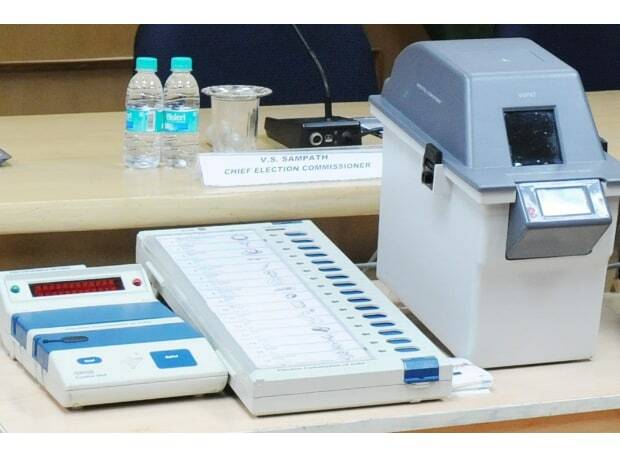 The Commission follows a system of counting of VVPAT slips in one polling booth per assembly constituency in Vidhan Sabha elections and in one polling booth in each assembly segment for Lok Sabha polls. A bench headed by Chief Justice Ranjan Gogoi is scheduled to hear on Monday the petition filed by Naidu and others seeking that VVPAT slips of at least 50 per cent of voting machines in each assembly constituency be matched during counting this general election. The opposition leaders said the delay of 5.2 days, as the EC claims, will occur only if the Commission choose to not increase its present workforce but the delay would be substantially reduced if the workforce is increase by even one person. They clarified that this is not an adversarial litigation and the plea was filed in public interest with the sole intention of ensuring free and fair elections. "The petitioners are not casting any aspersions on the election commission of India but are merely seeking a direction that will not only give proper effect to the earlier orders passed by this Court but will also instil a certain sense of confidence in the minds of the general public to the effect that elections shall be free and fair," they said in the affidavit. The affidavit stated that the issue raised is not of credibility of EVMs but of public confidence in the integrity of the electoral process. "The petitioners respectfully submit that the election commission which is saddled with the responsibility of ensuring free and fair elections should in all fairness welcome the petitioners' prayers and itself offer to increase the aforesaid numbers/percentage rather than robustly opposing the same in an adversarial manner," it said. Replying to the EC affidavit, in which the poll panel has justified the use of the present system of random counting in one poll booth per assembly segment, the leaders said, "The present guideline issue by ECI makes VVPAT completely ineffective and merely ornamental in nature". "It defeats the entire purpose of introducing VVPAT and renders the judgement and directions passed by the court completely otiose," they claimed. With regard to EC's claim of "insurmountable difficulties" of larger manpower and space for additional six days, they asserted that sensitising additional poll officials and finding larger counting halls are not an insurmountable difficultly by "any stretch of imagination". "The petitioners submit that even if just one official per booth has been sensitised, it is not difficult at all, much less an 'insurmountably' difficult, to sensitise one or two officials and the ECI should not be permitted to resist increase of percentage or numbers of EVMs to be verified/checked against VVPAT on this ground," they said in their submission to the court. On April 1, the apex court asked the opposition leaders to file within a week their reply on the EC's affidavit on their plea. The EC has submitted to the court that any increase in the sample size of verification from the existing norm of one polling booth per assembly segment would lead to very negligible gain in the confidence level, which is way above 99.99 per cent. It has stated that increased VVPAT slip counting will require extensive training and capacity building of election officials. "It is further submitted that when the polls are imminent and polling is to commence from April 11, 2019, to now seek to alter the system adopted by the Election Commission of India at this stage might not be feasible," the poll panel has said.